Designed with precision, this Titan watch from the Karishma Revive collection will bring a sense of pride to the woman wearing it. The design of the watch is meticulous and it begins with the specially-shaped silver colour dial which has a de-plated design pattern following the shape of the dial. The dial houses a studded Swarovski crystal at the 12-hour mark and is equally complimented by the silver colour metal dot indices which are in place for the rest of the hour marks. 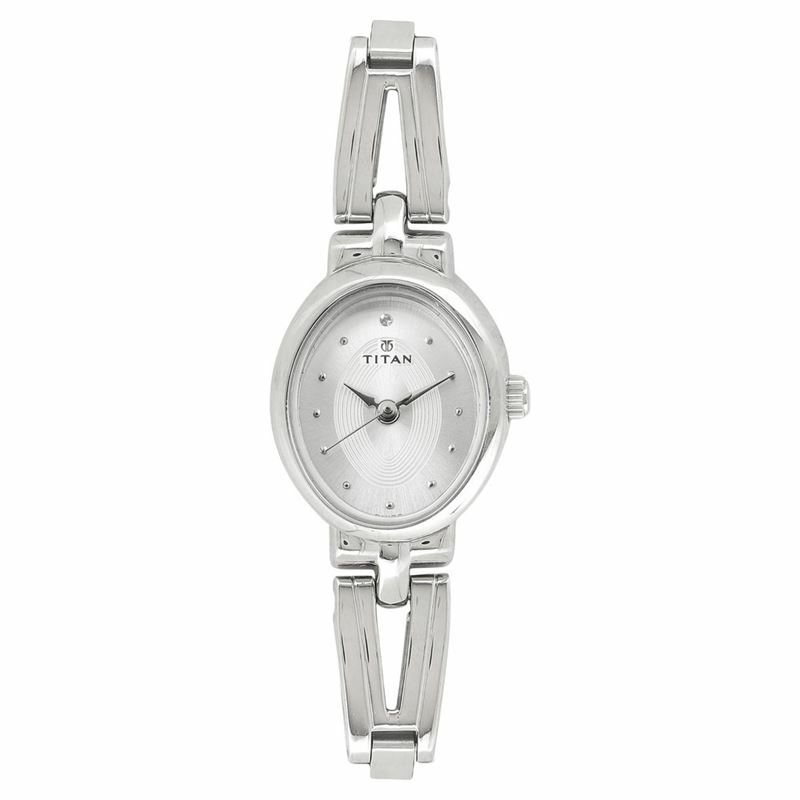 The watch has a gloss finished half kada stainless strap in silver colour that adds a bracelet grace to it.